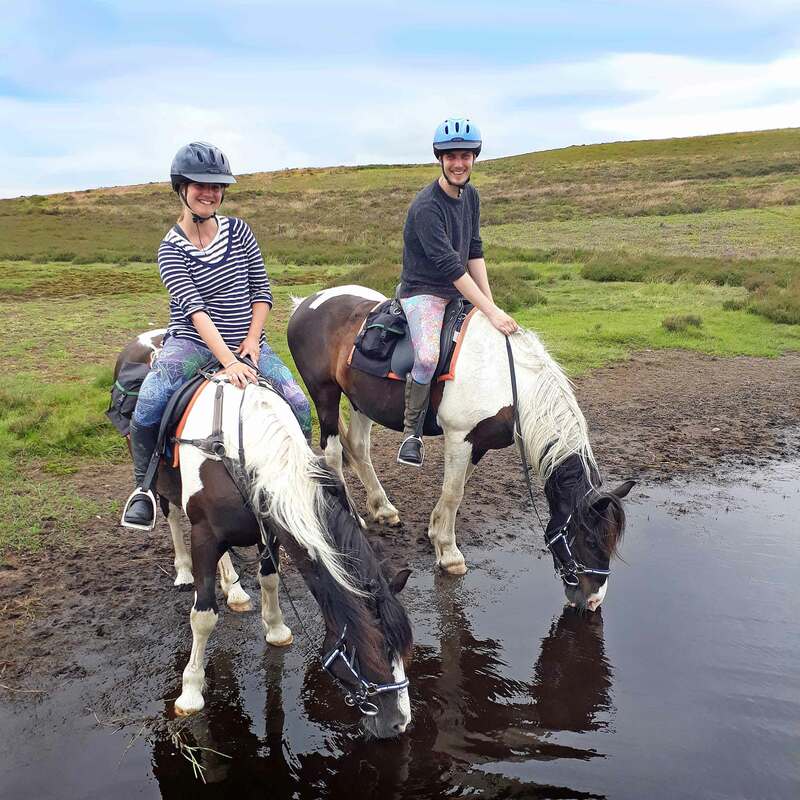 This is the classic two day Freerein trail ride. We all look forward to welcoming you on the Begwns Trail Ride. Horses fed and tacked-up, stirrups adjusted, girths tightened, maps and routes studied and checked – now climb or leap into the saddle and ride out onto the Begwns, an atmospheric expanse of bracken covered hill offering panoramic views across Wales and back across the Wye Valley to the Black Mountains and Brecon Beacons. 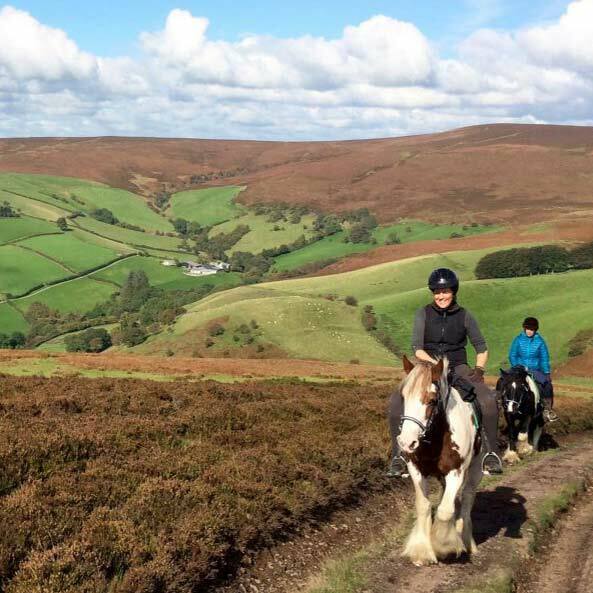 This is the ideal start to a trail ride for Freerein riders – wide firm grassy tracks between the bracken make for easy route finding and good canter opportunities. Drop down from the Begwns before crossing the valley and climbing gently uphill to Lanbedr Hill. In the afternoon you pass the mysterious ‘Ireland’ – an abandoned hill farm – and onto the heather covered moorland of Red Hill heading for your overnight stop. Drink stop for JB and Archie! The Begwns Trail ride stays at Newgate or Goblaen Guest House’s. These are unique and individual providing a high standard of home cooked meals, accommodation and a warm welcome to Freereiners and their mounts. For your return route either retrace your trail from yesterday and visit the Ox for lunch or head out over Llanbedr Hill. Ride the whole length of Llanbedr before recrossing the valley and riding the length of the Begwns with a diversion to the Roundabout (the highest point of these hills) is highly recommended. 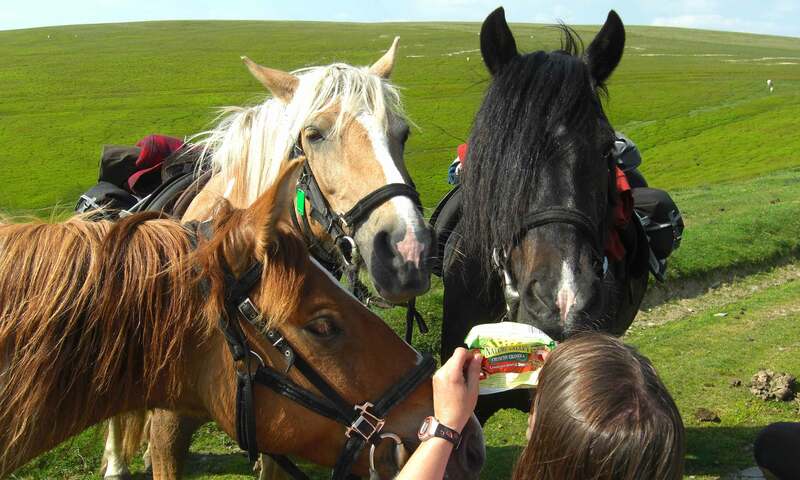 Then return to HQ for 4-5pm for some well earned tea, home made cake and of course pony nuts for your trusty steeds. Arrive at Freerein at 9am. Meet your steeds and head out on trail. Stay overnight at a welcoming country guest house. Arise and catch your horses. All day out on trail returning to Freerein HQ. Option to reverse outward route or take a different route via Llanbedr. Well thats one way to make friends! Wide grassy trails and magnificent views of the Black Mountains.